ICR is very excited to be a part of the first privately built office park in Saskatoon. 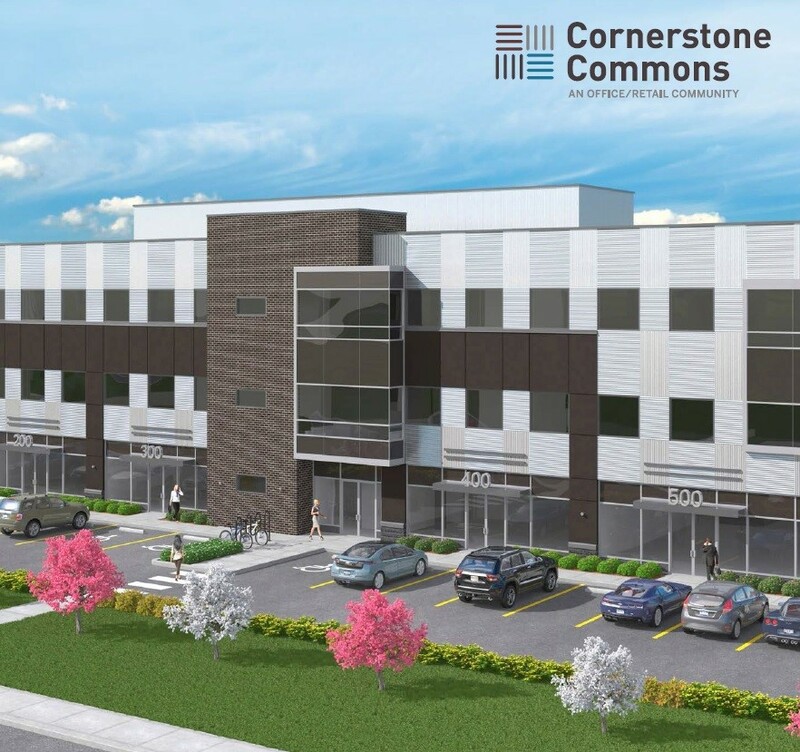 Cornerstone Commons was launched this past week by North Prairie Developments and the brokerage community was out in full force to hear all the details. Each of the four buildings planned include retail space on the ground floor with upper floors designed to accommodate office tenancies. They will be phased in one by one with possession as early as Spring 2016 on the first 54,229 SF. Stretched over eight acres, the site features an abundance of free parking at no additional charge to office users. Preston Crossing is ranked Saskatchewan’s #1 Regional Power Centre. There is an existing 687,000 SF of retail and restaurant users on site with approximately 114,000 SF newly added with this development and the upcoming west end construction. With high profile signage and freeway visibility, the site lends itself to a variety of users. There are 1,980 – 9,529 SF spots available to lease today along with an opportunity to add up to a 5,230 SF pad. The property is not only located where 100,000+ vehicles pass daily, but also finds itself in close proximity to the University of Saskatchewan, Innovation Business Park and all newly expanded east-side residential neighbourhoods. Calgary-based Triovest wants to match the success of their existing 200,000 SF industrial development called the Matrix on Millar Ave with two additional phases. Matrix III will be located at the southwest corner of Millar Ave and Marquis Drive, which will be the direct link to Saskatoon’s much needed North Commuter Bridge. The latest estimate for completion of the new bridge is 2018 and will place Matrix III right in the heart of the action. The site sets up well for office or retail users, with pad and CRU spaces available. There are a variety of ways to set up the 3.93 acre property and Triovest is patiently waiting on the right tenancies to fill it up. Matrix IV is aimed at industrial users with a minimum of 5,000 SF warehouse spaces available up to 430,000 SF. The site will spread out over 22.83 acres immediately behind existing Matrix I and II, which currently front Millar Ave between 64th St and 66th St.
With immediate access to some of the northend’s busiest arterial roads, the project will be attractive to tenants needing access to the Yellowhead and Prince Albert highways. Construction has started on the first building to launch this phase and will include similar features to the existing Matrix spaces such as grade and dock level overhead doors, 3-phase power, and 24’ high ceilings. My inner optimistic voice is encouraging me to see the growth for what it is: encouraging and continued belief in the Saskatoon market. The economic pace may have slowed but it is far from stopping altogether. Who knows what 2016 will bring?